Once deemed a rare and highly exotic flower, said to contain healing powers and only owned by those who could afford them; the orchid has now grown to be one of our most popular and loved indoor plants – with over 18 million purchased each year! When you think of the colour red, it is likely you will associate this with romance – and the same can be said for the red orchid. 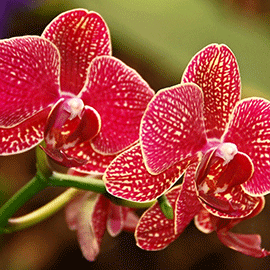 Said to represent love, the red orchid is a sign of affection and was once used as a main ingredient in love potions! They can also be a sign of bravery and courage. With Valentine’s Day coming up, gifting a red orchid could be the perfect way to express your feelings towards that special someone! Know somebody starting a new job? Or preparing for an important presentation? 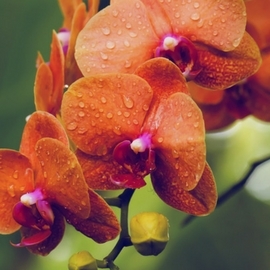 Receiving an orange orchid before a nerve-racking event is a sign of pride, confidence and enthusiasm. Yellow is a popular colour in spring and brings with it symbolisation of new life; the word ‘spring’ itself signifies a move or leap forward. 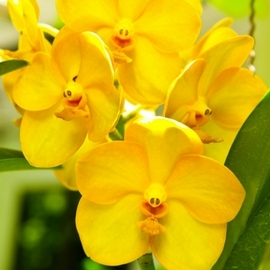 To give a yellow orchid could be a sign of a new beginning in someone’s life, friendship or joy. 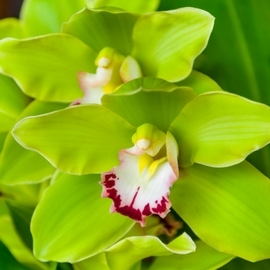 The green orchid is said to symbolise nature, harmony and rejuvenation. It is thought that green orchids bring good health and fortune into the home. The rarest of the orchids and that most difficult to attain, therefore said to embody rarity, is the simply beautiful, blue orchid. As these flowers are difficult to find, you may often see blue orchids which contain dye to maintain their striking colour. 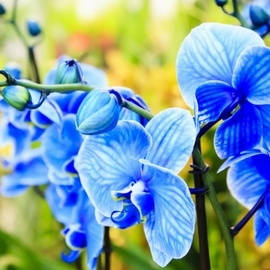 The deep blue tone of the orchid is said to symbolise strength, authority and depth. Yet the calmer tones of blue, representing the ocean, is said to symbolise peace and calm. For many years, the colour purple has been closely linked to power or royalty and is a popular colour amongst the Royal Family. 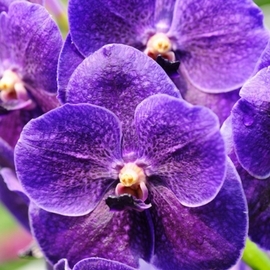 This is why you may hear the purple orchid be referred to as the ‘true queen’ amongst flowers. This orchid is a perfect gift if you want to show somebody you admire them, as it is said to symbolise respect and appreciation. 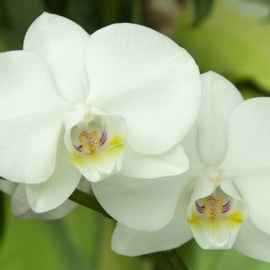 The spectacular white orchid signifies innocence, purity and beauty. Yet can also be a sign of respect and humbleness. These elegant flowers are perfect for events such as a christening, engagement or wedding.